Brighton Colorado has a lot of local entertainment to keep you hopping. Whether you are enjoying the Barr Lake State Park or the Rocky Mountain Arsental National Park a toothache is the last thing you want to deal with. Tooth pain must be treated as soon as possible though. Fortunately, there are plenty of Brighton dentists to choose from during your dental emergency. 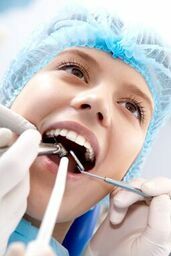 If you are looking for a dentist in Brighton, CO, emergencydentistsusa.com is here to help. We have a list of qualified dentists and dental specialists compiled for you. Simply go through the list, choose the dentist, and give them a call to set an appointment. If you have trouble viewing the list and want additional assistance, call our toll-free dentist finder hotline. Our well trained team is here to listen to your needs and can help you identify the dentist or specialist you require. We go through the available options near you and let you know their hours of operation. From there, you tell us which dentist you wish to visit and we will schedule your first appointment for you. Arrive 20 minutes early to your scheduled appointment and bring your ID, insurance papers, and any copayment you may have. It is suggested to present a list of current medications and allergies. Being new to the Brighton, CO area, you may be concerned with the options available to you. There are many dentists and specialists from general dentists to oral surgeons, cosmetic dentists, orthodontists, and more. Before scheduling with a specialist, consult with your general dentist, if they see a need for you to visit a specialist you will be referred to one. Description: At Brighton Modern Dentistry and Orthodontics, the team is dedicated to your care with advanced technology. The services provided include braces, crowns, fillings, periodontics, hygiene, emergency care, and much more. The office accepts many dental insurance plans and files claims for you. There is also financing available for you. Description: Brighton Smiles, PC is a welcoming dental practice that focuses on you. They combine leading-edge technology and techniques to provide you with high-quality care. The team provides many services from general dentistry, preventative care to cosmetic care. There are many payment options and the office accepts most insurance plans. Description: The dentists at Bromley Park Dental work to provide you with compassionate, comprehensive dental care. The team provides you many services from routine checkups to cosmetic dentistry procedures. The dentists are proud to accept emergency cases to help you get the dental care you need when you need it most. A toothache can start at any moment and it is your first signal that you have a problem. Any tooth pain that lasts longer than an hour needs to be seen as quickly as possible. Tooth pain caught early can prevent further complications from happening. If the pain you are experiencing is from an accident, go first to the nearest ER to rule out any other serious injuries. Before seeking treatment at a new dentist, take the time to check that their licenses are all active. You can do this by visiting the Colorado Dental Association website and performing a search of the dentist’s name.